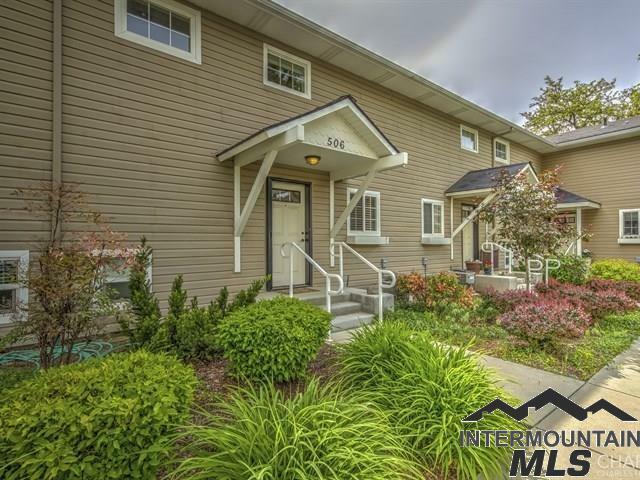 Enjoy more of life in this near maintenance free condo. Well appointed w/ hardwood, granite, ss appliances, and a private, fenced patio. A truly unique complex w / beautifully maintained grounds, lots of open common areas, in-ground pool & hot tub plus an on-site gym. Only minutes from Hyde Park, Camels Back Park, foothills, greenbelt, downtown, BSU, shopping, restaurants, & pubs. HOA covers exterior maintenance of building, w/s/t, plus access to community amenities.